Femmenessence MacaHarmony® is the highest potency natural product to support the balance and regulation of a woman’s own hormone production. 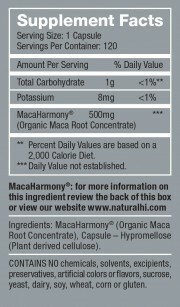 The medical journal publications of Femmenessence Macaharmony® human clinical trials demonstrate statistically significant improvements in hormone balance , while not introduce any hormones into the body, instead supporting the body’s own balance of hormones… and nothing is more natural than your own hormones. Use Femmenessence MacaHarmony® as the primary supplement for the health of women in addressing regulation of menstrual cycles, PMS, infertility and many other women’s health issues. 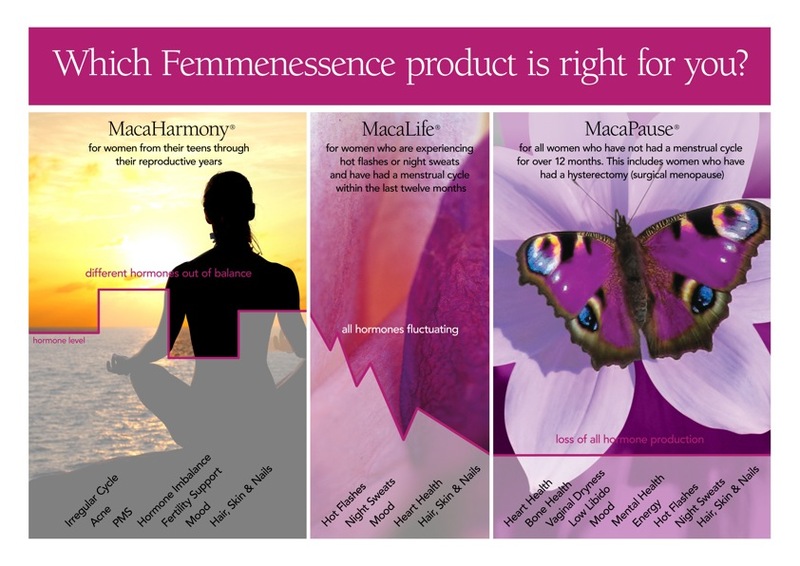 Femmenessence MacaHarmony is for women from their teens through their reproductive years. If you are in your late forties and are unsure whether you are peri menopausal or experiencing hormone imbalance click here to find out which Femmenessence is right for you.